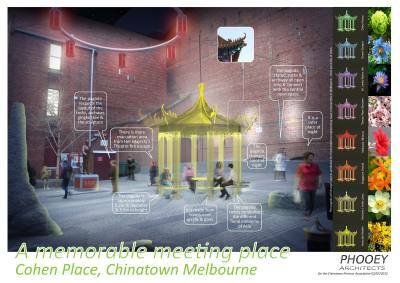 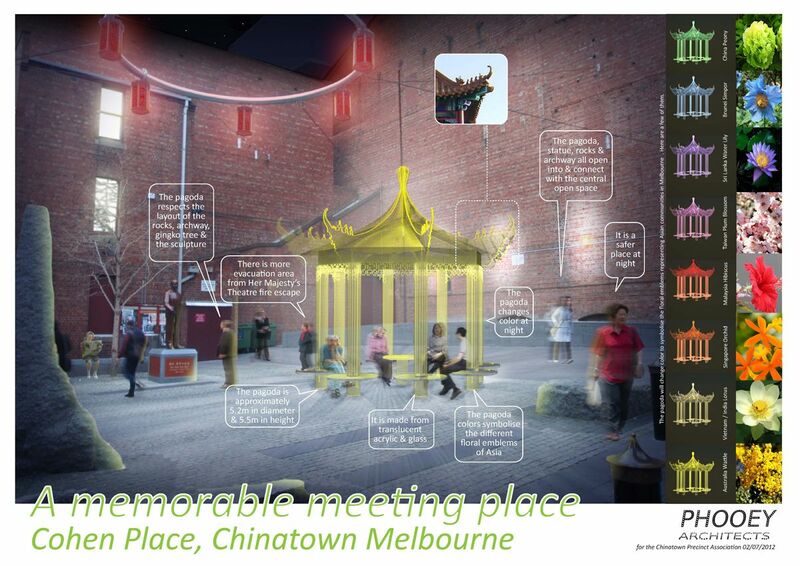 Introducing a modern Pagoda that will function as an undercover meeting place, complement the existing sculptural elements & identity of Chinatown Square. 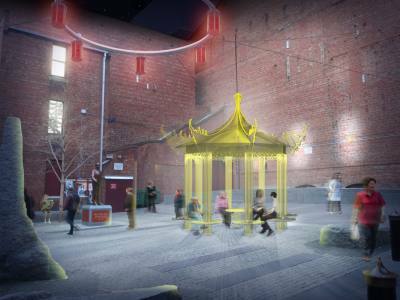 It’s location supports existing urban functions, made from transparent materials with colored internal lights to improve nightlife & surveillance of surroundings. The changing colored lights symbolise the different floral emblems of Asia.